Above the neighborhood of Hillyard in Spokane, WA lies a place that was filled with mystery when I was growing up. Every so often on an autumn night we would see a giant cross burning up on the hill. This would stir up all sorts of scary stories about the place among my friends and I. We deduced that there was devil worshiping going on up there. Devil worshipping! Happening in our own backyard! We could almost feel the curses being thrown down on us from the bluff high above. There were stories in high school about kids getting kidnapped if they tried to go up there to investigate. They would be used for whatever satanic ritual was going on. We didn’t really know what that meant but we did know that we didn’t ever want to be a part of it. That didn’t keep us from, every once in awhile, driving at least partway up the bluff to test our luck. That place is Mount Saint Michael. When I was back home visiting two weekends ago I was scouting out places I could pinhole for this website and decided I needed to explore this place that gave me such fear as a teenager. 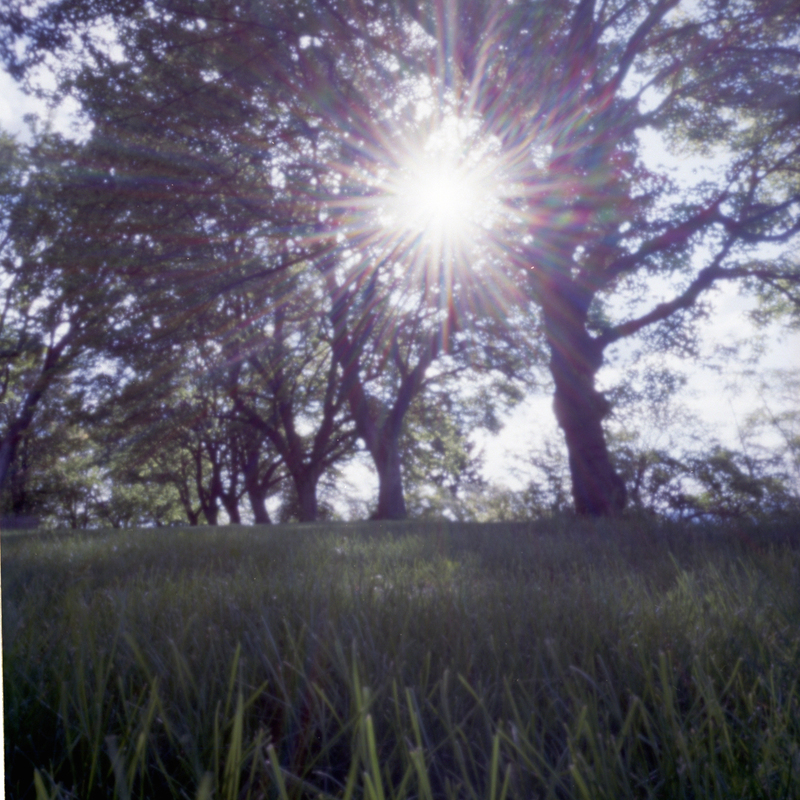 I found my way up to the top and was greeted with….. 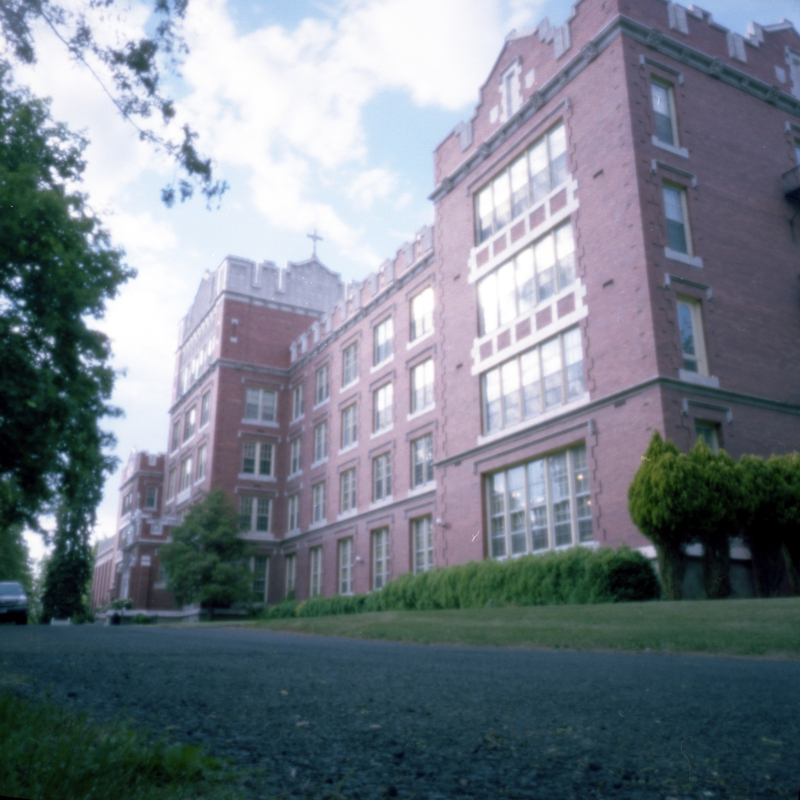 The grounds were originally a Jesuit mission and eventually became a farm that supplied food for Gonzaga University. In 1977 it changed hands to a Catholic congregation that was led by a man named Francis Schuckardt. He declared himself the “true pope” and became the first bishop of the Sedevacantism movement in the US (according to Wikipedia). There is a Dan Brown novel in here somewhere. 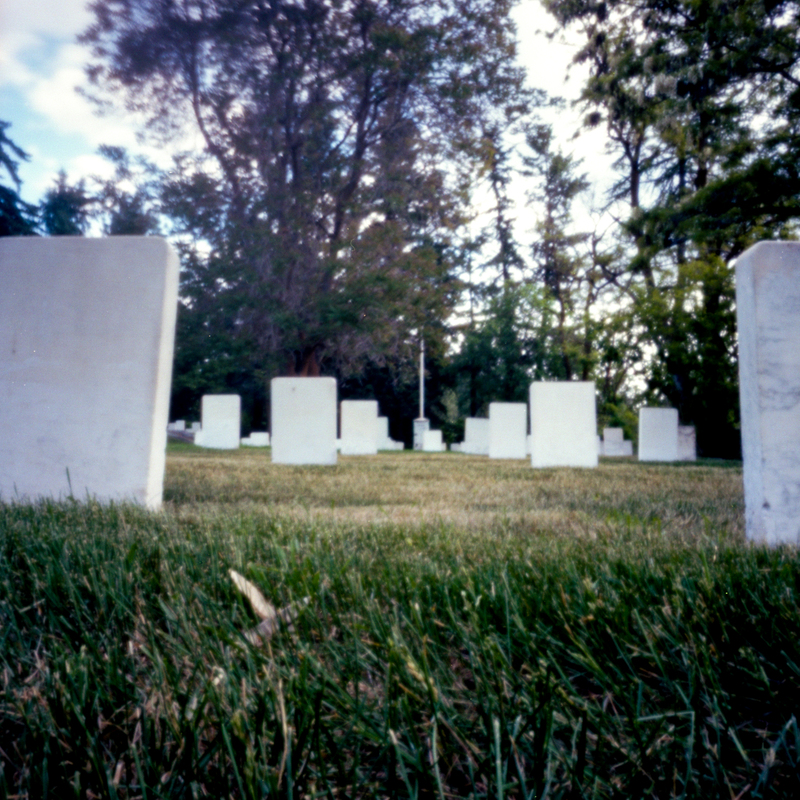 As I wandered around I found the Jesuit Cemetery where I sat for awhile, made some pinhole shots, and enjoyed the view. The place might have a weird history, but it was sure beautiful. 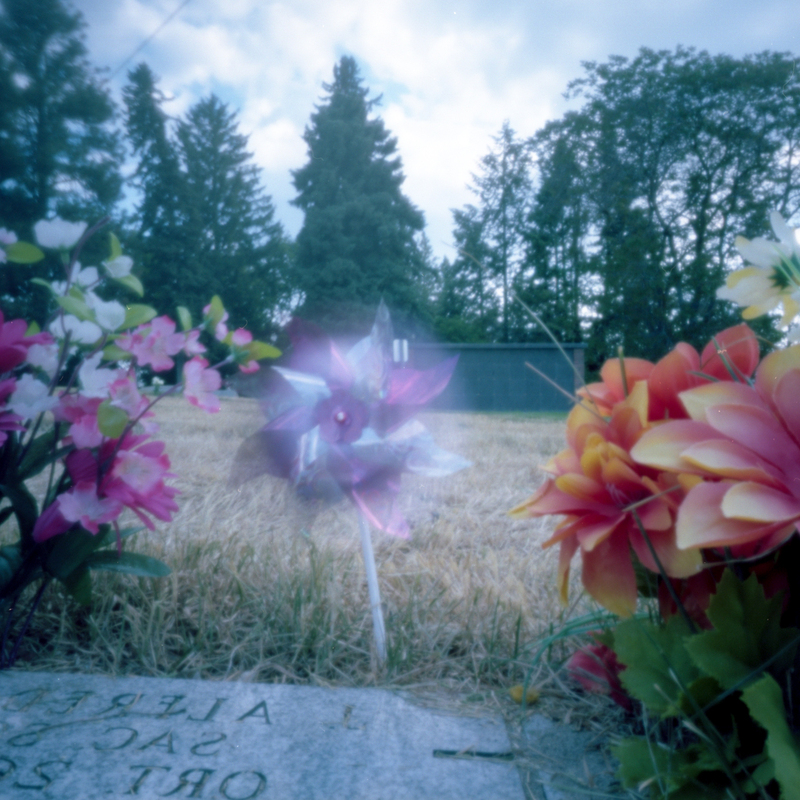 These were made with a Schlem P6*6 3d printed pinhole camera and Ektar film. They were all exposed for about 5 seconds (give or take). 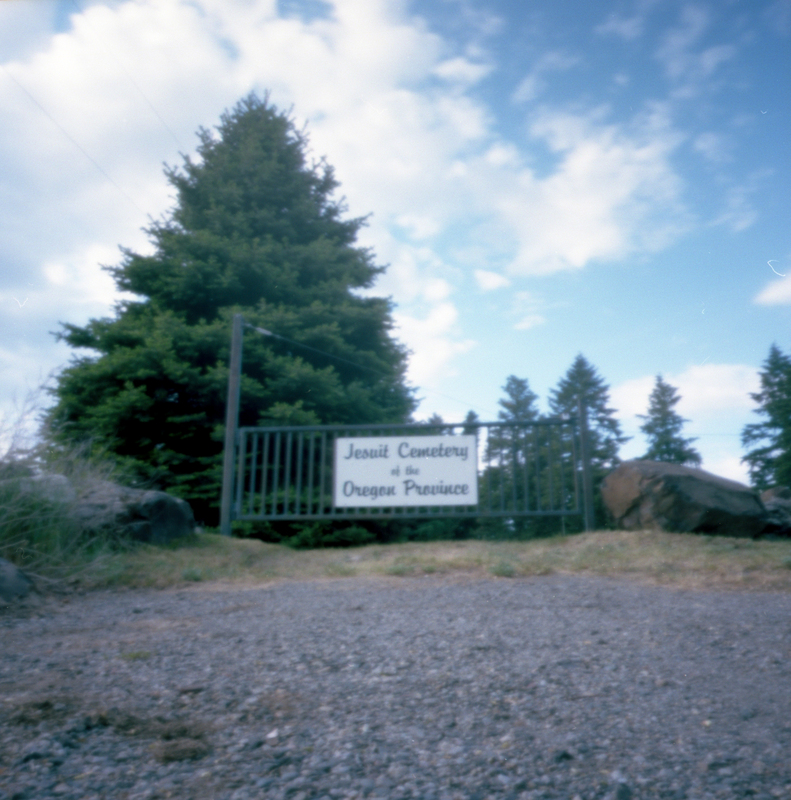 I finally have a new post up on Pinhole Obscura. About a spooky place from my childhood in Spokane. Interesting read and great shots!